What Are Omega-3s and How Do They Work? Omega-3s are the building blocks for hormones that help combat or resolve inflammation. When inflammation in our bodies is out of balance, or unresolved, it is one of the main reasons we gain weight, develop chronic disease, and age at a faster pace. A diet rich in omega-3s (e.g. fish and fish oil) can help minimize inflammation, whereas a diet rich in omega-6 fats (e.g. corn oil, soybean oil, safflower oil) can promote inflammation. The problem is that most Americans have a diet incredibly low in omega-3s and incredibly rich in omega-6 fats. Studies have shown that the rise in our obesity epidemic parallels our increased intake of omega-6s and decreased intake of omega-3s. This is why it’s important to have the appropriate balance of both to minimize inflammation and promote overall wellness. Which Omega-3s Are Important for Health? The primary benefits of omega-3s come from their ability to resolve inflammation. There two omega-3s that have been most widely studied for their clinical benefits pertaining to decreased inflammation are EPA (Eicosapentaenoic Acid) and DHA (Docosahexaenoic Acid). 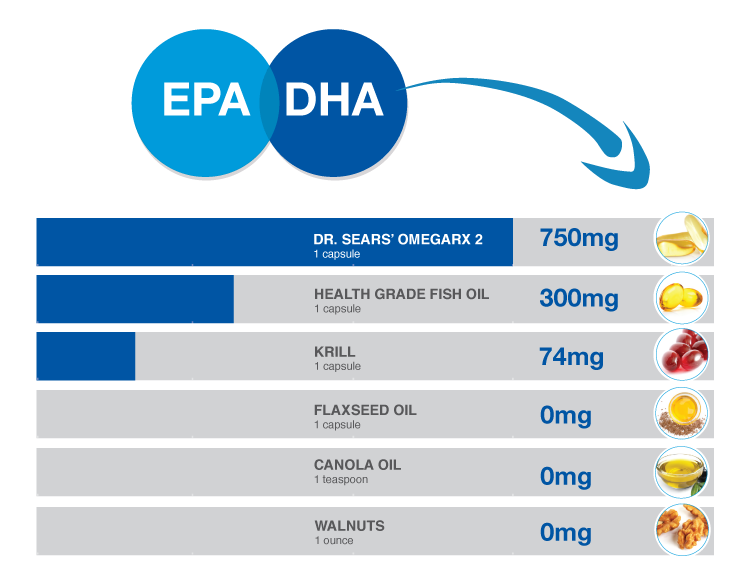 EPA and DHA are found primarily in fish and fish oil. EPA helps minimize the formation of hormones known to promote inflammation while both EPA and DHA help generate hormones critical to resolving inflammation. 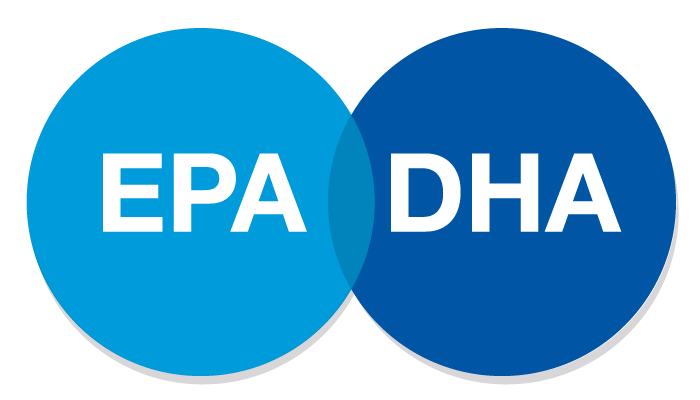 A 2:1 ratio of EPA to DHA has been shown in the scientific literate to cover the widest range of health benefits. Dr. Sears recommends individuals consume a minimum of 3000 mg of EPA and DHA daily for wellness. In order to reach Dr. Sears’ recommended intake you need purified omega-3 fish oil rather than consuming fish alone, but you need to choose wisely. Krill oil is actually made of crustaceans (small shrimp) that have been harvested and extracted using harsh chemicals (hexane and acetone). Flaxseed, a vegetarian source of the omega-3 alphalinolenic acid (ALA), is only beneficial if it’s converted into EPA and DHA. The conversion of ALA into EPA and DHA is very inefficient (about 1-10%) so you would have to consume large quantities to get the same benefits of a much smaller amount of omega-3 fish oil rich in EPA and DHA. What Makes OmegaRx 2 Different? All fish oil products use the same raw material (sardines and anchovies), but what separates one from the other is their purification. PCBs, or polychlorinated biphenyls, are the most difficult toxins to remove from fish oil. Dr. Sears’ standards for PCBs are 10 times more stringent than pharmaceutical standards and 18 times more rigid than those established for the dietary supplement industry. It is the total amount of EPA and DHA that deliver the health benefits of omega-3s. 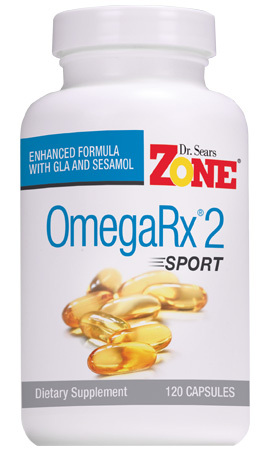 OmegaRx 2 supplies 750mg of EPA and DHA per gram (1 capsule) of fish oil. This is among the highest amounts of EPA and DHA currently offered in the market place without a prescription. 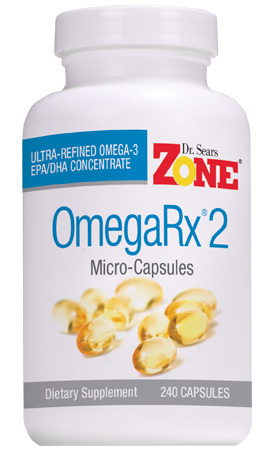 Each serving of OmegaRx 2 (4 capsules or 1 tsp) supplies 3000mg of EPA and DHA. We think it’s important that you know the purity, potency and freshness of OmegaRx 2 which is why we post the values of these for every lot of OmegaRx 2 on our website. Where other companies don’t post their results or will post those of their raw materials versus finished products, we post the results of our products post-production on every batch. Our manufacturers have a long-term commitment to protecting the seas and currently hold a Friend of the Seas Certification. In addition, no oil is ever wasted through the manufacturing process and any oil that doesn’t end up in OmegaRx 2 is sold as by-products for other industrial uses. When you purchase an omega-3 fatty acid product it’s important to look at the cost per gram of EPA and DHA in the product. 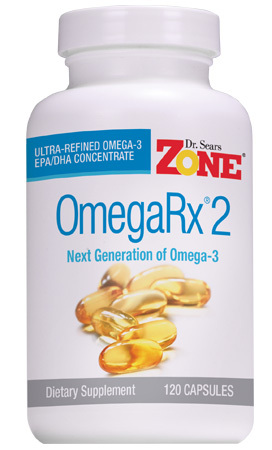 OmegaRx 2 has one of the lowest cost per gram of EPA and DHA of any fish oil product on the market coupled with the highest purity standards for freshness. Determine which OmegaRx 2 best fits your needs. Ideal for: general wellness — our most popular Omega-3 product. Ideal for: those who have difficulty swallowing capsules. Ideal for: those who exercise more than 1 hour per day with intensity. Ideal for: those who have difficulty swallowing larger capsules. 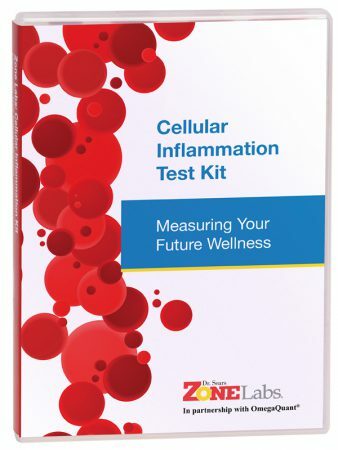 Ideal for: determining your exact dosage of omega-3s based on your personal results. 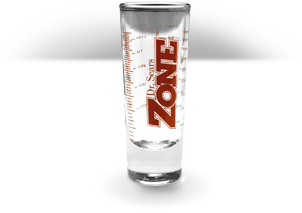 Ideal for: measuring and consuming liquid fish oil. 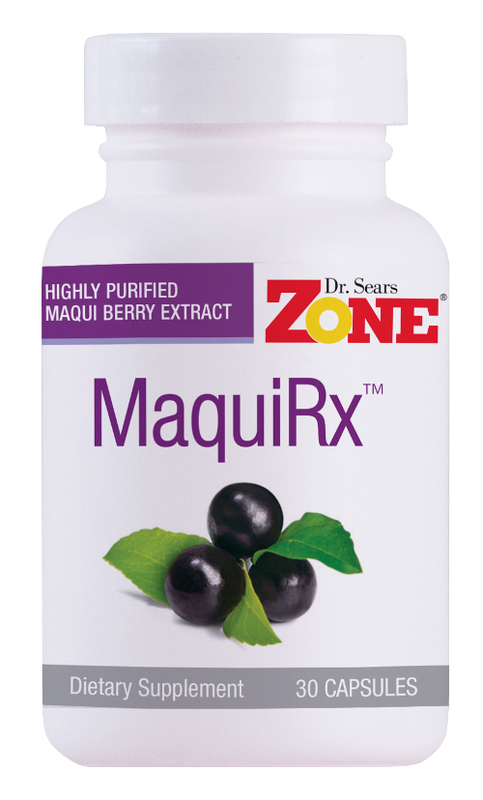 Ideal for: those looking to help boost the benefits of OmegaRx 2 by fighting free radicals with maqui berry extract. 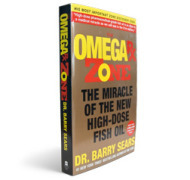 Ideal for: those looking to learn more about high-dose fish oil. Ideal for: those looking to help boost the benefits of OmegaRx 2 with a powerful antioxidant blend of 17 fruits and vegetables.